Saint Laurent LouLou Velvet Block Heel Booties. 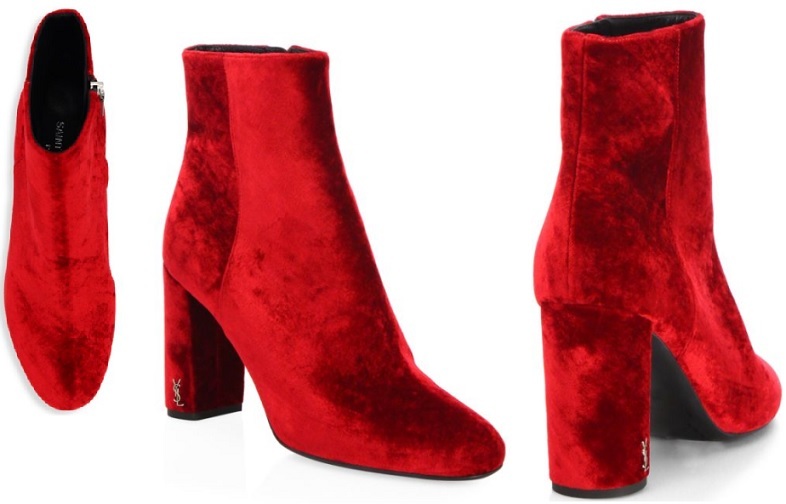 Knowing how much Dorthy enjoyed her ruby slippers, it is fair to see she would also adore these red velvet booties. They may not take her home, but they would certainly take her places. Although they are not exactly magical ruby slippers, they do have several interesting features. Shop at Saks Fifth Avenue for women's footwear and more. Ruby is distinguished for its bright red color, being the most famed and fabled red gemstone. 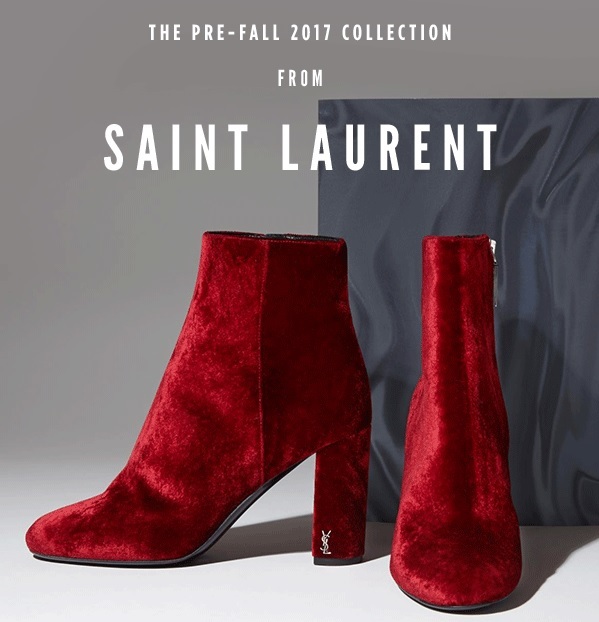 Not sure if Saint Laurent refers to this color of bootie as ruby red, but we thing it would be an appropriate color name for this footwear. Learn more about the Saint Laurent footwear & fashion brand. You may also be interested in our most famous shoe article where you can learn about ruby slippers and glass slippers. Wizard of Oz Trivia: Do you know Dorthy's last name? Gale is the last name that Dorothy has in both the original 1900 book edition and the beloved 1939 film version of "The Wizard of Oz.". Specifically, Dorothy is presented as an orphan girl being raised by her Uncle Henry and Aunt Em. Dorothy's adoptive or foster parents are given no last name.